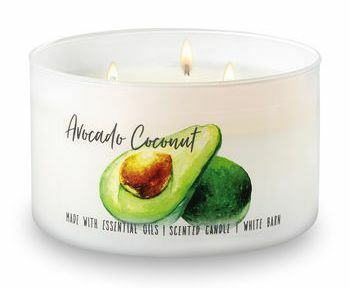 Avocado Coconut sounded too interesting NOT to try and two fragrance I would never think to pair together. Actually, this is the first avocado scent I think I’ve ever tried so I was pretty excited to experience this one. Made with sweet orange and clove bud essential oils. Okay, MUCH better!! Total typo Bath & Body Works must have missed when they labeled this candle of mine. ? Too funny!! Now with that cleared up, let’s talk about the fragrance itself. I liked it. Smelling the wax, I could totally make out teeny hints of sweet lime, a natural creamy coconut and a veggie/green component that had to be the avocado. It was different, fresh and unique. I couldn’t wait to light this candle! I lit this candle in my master bedroom to start out and ended up moving it to a medium size room a few hours later. This candle was a little too light for a large room and honestly, even a medium size was pushing the envelope. The overall aroma after hours of burning was very tame and subtle. What did I smell? A light blend of lime, coconut and I guess avocado. It smelled very natural and again, soft. This scent is not a room thrower so if that’s what you prefer, this candle probably isn’t for you. Scent wise, it was very different, and I liked it. Just imagine hints of sweet lime, a pinch of coconut and a little something green. Strength – I would rate this candle a 4/5 out of 10 in a large room. 6/7 in a medium size room and 8+ in a small room. This candle burned absolutely perfect. Zero wick issues, clean burning from beginning to end. 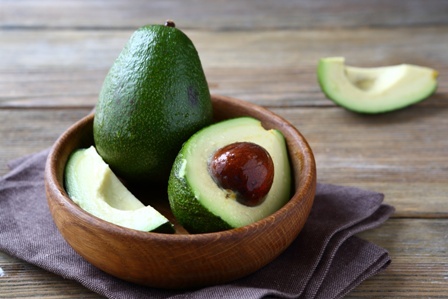 I really enjoyed Avocado Coconut. The overall scent… a very fresh and natural type aroma. It truly smelled very natural and I think that’s why it was so light. It was meant to be light, organic and refreshing. And it was. I do recommend this candle but actually, I recommend you smell it at your local Bath & Body Works store first and then decide. It’s definitely different. ?